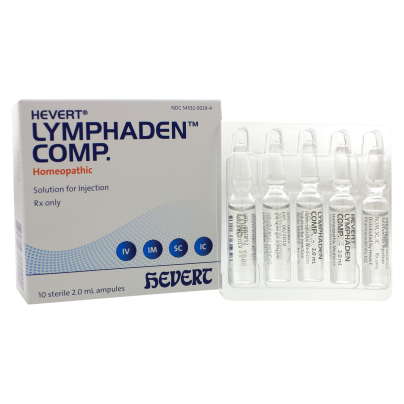 For the improvement of conditions such as swelling of the lymph nodes, and lymphatic edema. Hevert Lymphaden Comp. may be administered intravenously, intramuscularly, subcutaneously, or intracutaneously.